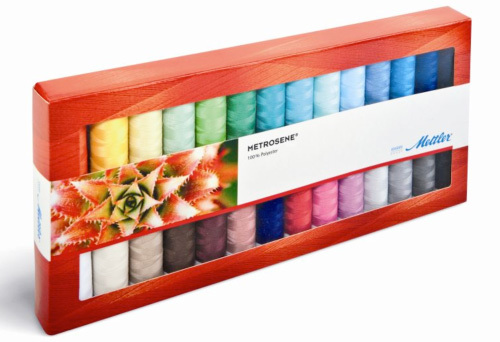 Contains 28 spools of Metrosene 2-Ply 40 weight Polyester Thread. 164 yard spools. Color numbers 002, 003, 500, 502, 536, 554, 561, 594, 599, 600, 611, 623, 624, 672, 674, 675, 703, 712, 771, 814, 844, 847, 854, 889, 916, 952, 959, 962.